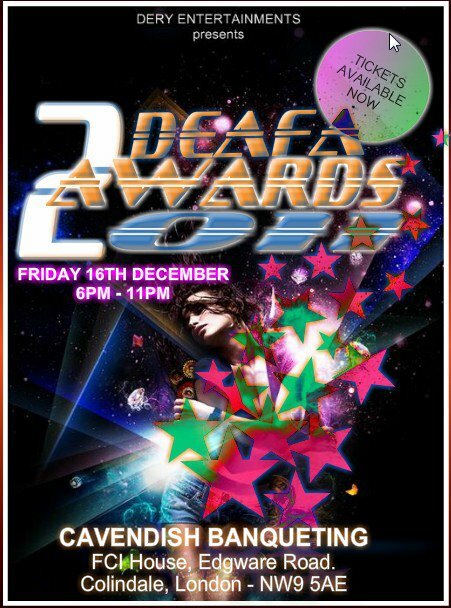 The maiden edition of the Dery Entertainments Annual Fund-raising Awards (DEAFA) is scheduled to take place at Cavendish Banqueting , UK on December 16th 2011 . D.E.A.F.A is an Afro-European Entertainment Award which takes place annually to recognise and celebrate achievements in Music, fashion, movies, comedy and more to raise funds for a selected charity. The event is officially sponsored by Peugeot . 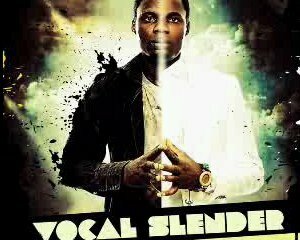 Dery Entertainments, UK based entertainment label (owned and managed by Cameronian ex-model and performer , Brenda Mengot, Araceli Dione Tuku, and Quinta Tima) just signed a nu artist of Nigerian origin called Vocal Slender. He would be traveling over this July to record his new album which will be recorded under an up coming documentary which will be showing on some of UK’s reputable TV stations. Their music department specialises in promoting artists all over Europe and Asia by creating shows and events for them abroad. Dery Entertainments is looking to hit Africa next year with the best Musical events and festivals. The label is currently gearing up for The Vixen UK FINALS , an exciting UK video model competition to take place on August 12th 2011. Nexdim interviews Brenda Mengot: She Clears rumours about dating English player, Aaron Lennon. 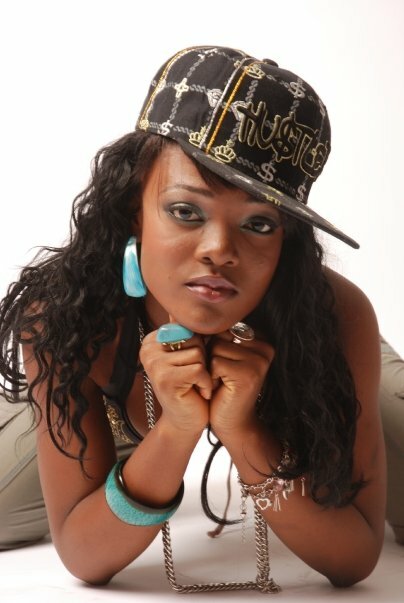 Brenda Mengot is a UK based Cameroonian model and CEO of Dery Entertainment. Rumours have proliferated on several media outlets about her dating English premier league player, Aaron Lennon. NexDim had much concern about her reputation and the veracity of these rumours . We decided to book her for an up and close interview. I am down to earth and humble although people who do not know me in person would say I’m proud because of the way I talk or walk but its just something I grew up with. I’m very playful but serious when necessary. –What part of Cameroon do you come from? I’m mixed . Of very many parts, my dad is from the Southwest(Bayangi) and my mum is Half Bakossi and half Bassa. –When and how did you find yourself modeling? I started modeling at 14. I was doing my Secondary school , 4th year in a photo studio as that was the only place I spent time for work experience. I didn’t even like being in a photo studio. One day an advertising agent came in there with his models to have a shoot for Nintendo but there was 1 girl missing and they asked me to fill in for her. At first I didn’t want to but I really enjoyed the attention, so I guess that did the trick. –Much has been said about your label.Can you tell us about Dery Entertainment? Well, Dery Entertainment is an expanding entertainment company that supplies models, dancers and make-up artists. At the moment that’s all we are handling but we aim to get into more talents like actors and artists. I decided to take over as C.E.O and talent manager because I am a model with a lot of experience both good and bad, there are a lot of things happening in the entertainment industry that young girls have to be aware about and that’s where I come in, The team does its very best to guide and lead our talents to the right path. You are so beautiful. What’s your definition of beauty? Am a little old school so I would say beauty is in the eyes of the beholder. Everyone has the ability to be beautiful, I don’t mean through surgeries cos that is just the physical appearance. Beauty is an addition of everything that makes up a person: your attitude, approach towards other people, intelligence. And that’s why there is no perfect person. –What is a quintessence of a model and what are the ethics you think a true model should follow? A model is traditionally meant to represent a product cos that is how the profession came about. But with our society today, little girls look up to such figures as their heroes and they want to be like them. This evolution has made modeling not just a “strike a pose” affair but also setting an example for the next generation to follow. I think a model needs good morals and educational background just as every other person. –What have you achieved so far as a model?. Any music videos, prints, billboards,magazines or adverts? I have done a couple of music videos for artists like Sir-B, Material, Kanyba etc. I was cover girl for Continental magazine, and also did adverts for LEVI, EDF Energy, NHS cervical cancer and also fashions shows for a couple of designers. I actually worked with a Cameroonian magazine the last time I was in Cameroon, it was called Akwastar and I was one of the faces of the company. –A general conception is Models are so vulnerable to giving what they have to get what they desire. What’s your take? This is not just in the modeling industry, it’s in the whole entertainment industry. I have seen it happen a lot of times but it’s not right. No girl has to do anything but work hard and stay focused to get where you want to be. I am an artist and choreographer as well and I remember when I started getting into the industry, I got turned down a couple of times cos I wouldn’t play to the “rules”. I knew I was good and had potential so I never felt like maybe I have to do something extra to be recognised.There are also photographers who would tell you that you should do glamour modeling cos it suits you, and sometimes it’s not what you wanna do….maybe you are interested in fashion and you are fit to do it but the photographer just wants to take pictures of you naked. These are all experiences I had that made me decide to run Dery Entertainments. –Describe the nature of your relationship with other models? I am very professional in everything I do, so the only time we get to see is at an assignment or industry meeting. It’s a lot of fun hanging out with the other models but most of my closest friends are not models so I prefer hanging out with them instead. – Brenda, We have been a little concerned with rumours circulating of you dating English footballer, AARON LENNON. Can you clarify millions of people across the world. Is the allegation true? NO! It is definitely not true. Funny enough we are NOT even friends for someone to think that we are dating. We probably have crossed paths a couple of times as I know a few people that play for his team and for the English premier league, but I have never had anything to do with him in person. –Did you feel embarrassed when you Google your name? Yes, I do! People ask me things on my Facebook and Twitter and I answer them cos I don’t wanna seem stuck-up or rude and the next minute they put it on Google and sometimes even make up stories. I am not an outside world person and I love my privacy, I guess that’s the African part of me. -Are you a sucker for ”America Next Top model” ? What’s your appraisal. Honestly, I have never watched one episode of it. Not because it’s not good, but am more of a film person. Horror, comedy and action TV programs are the only things I watch on TV. –What do you look ahead for Africa? A continent that would come out of it’s corruption and let the younger generation implement more organization and equality in our society. The educational system in Africa is a lot higher than some other continents, I know this cos I schooled in Africa as well.That is the only hope I have for Africa.That the next generation of power would develop our continent more and take us out of the too many cultural beliefs we have. –We have young modeling agencies in Cameroon like Freddash models. What do you plan to do in order to help the up and coming Cameroonian models? I have actually been introduced to Freddash modeling agency and I had a look at their website. It’s really great to see that we have agencies like that in Cameroon. At the moment we have a lot of projects that would be done in Africa: Cameroon and Nigeria. I am more focused on Cameroon. Our team would be in Cameroon for December or early January for auditions for our TV show called “Last model standing” which would be shot in Cameroon and other places and also aired in Africa, Europe and America. This is one of our biggest projects and we have a few sponsors helping out with it. This would be a great way of putting the faces of Cameroon models and the country itself out there. -What genre of music do you often listen to? I am into R n B, SlowJamz, Funky house, Bashments (dance hall), Afro beats (Nigerian hip hop) , Coupe Decale and occasionally, Makossa. Hmm! I would say Fufu and Eru. I love it! –It was sweet having you on nexdimempire.com . Hope you have a nice day and best wishes.We also hope to have updates of your pending projects. Thank you, it was my pleasure. I would keep you updated with the project.